FACT: If you don't pet your labbit everyday, she will get lonely and run away to join the circus. Clover's doing alright but she does sometimes dream of the spotlight. 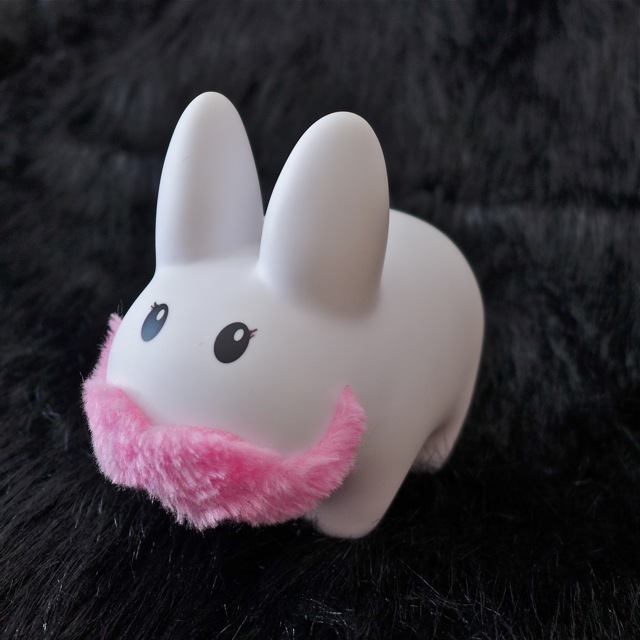 I think she'd make an excellent bearded labbit, don't you agree? My boyfriend and I got those two recently as well. My little pink one is named Bridget and the blue one is Oslo. He even got the little ones. Maybe I could help pitch a few?